After a three-month lull, premium and mid-range smartphone makers are ready to lure consumers with jaw-dropping offers and discounts in April. From Samsung to Oppo, OnePlus to Honor, all major players in these segments are coming up with 20-25 per cent discounts and cashback offers, while Apple is slashing prices of iPhone XR this month. Take Samsung, for example. The archrival of Apple globally, as well as in India, has initiated a special offer this week. Its Galaxy Note 9, directly competing with latest iPhone models, now comes at an effective price of Rs 61,900 for the base model (128GB). While Samsung has slashed its price by Rs 5,700, an additional Rs 6,000 cashback can be availed if purchased through HDFC credit card. The top model (512 GB), comes at an effective price of Rs 71,000 -- Rs 21,100 lower than its maximum retail price (MRP) of Rs 93,000. Oppo R17 Pro, the most expensive smartphone from Oppo India, is now being offered at Rs 35,991 —nearly 28 per cent lower from its MRP —as its discounts and cashbacks amount to Rs 13,999. OnePlus —the market leader in the local premium handsets market —is yet to announce any discount scheme. Trade sources say, the company is planning to come up with special offers, after Apple slashed iPhone XR price. Its flagship OnePlus 6T, launched late-2018, is in a direct fight with Apple’s iPhone X and 8 series of devices. And the company is expected to effect discounts worth Rs 8,000 to Rs 10,000. Smartphone brand Honor, from the house of telecom giant Huawei, said it is coming up with discounts and offers that may slash the price of its smartphones by up to 50 per cent from 8 April. According to officials at Honor, the brand is tying up with e-commerce majors Amazon and Flipkart to execute the schemes. Smartphone market leader Xiaomi has already announced varied levels of price cuts for several products. Its pricier Poco F1 is now selling from Rs 19,999 —down from over Rs 25,000. The schemes pour in just ahead of the Navratri —an important festival in the northern and eastern parts of the country. While the first few months of a year is usually dull for the premium handsets market, the measures are aimed at luring consumers this time. While a seasonal discount from the makers of iPhone is not common in India, consumer technology giant Apple is coming up with a limited period offer for iPhone XR in association with HDFC, starting Friday. 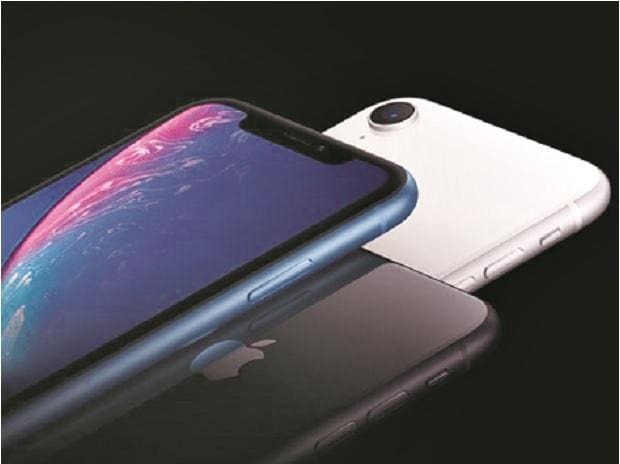 Apple will be offering a discount of Rs 17,000 on the maximum retail price (MRP) of its new iPhone XR models across sales channels. Additionally, consumers can avail of 10 per cent cashback through HDFC cards. “This is not a price drop or MRP change, but a limited term promotional offer which starts on Friday, April 5. The MRP on our website does not change”, Apple India said in an email. The upcoming offer, however, may not be as attractive as it seems on paper. Apple’s authorised e-commerce partners like Flipkart and Amazon India are already offering the iPhone XR models at a discounted rate. iPhone XR, 64 GB variant, for example, is available at Rs 69,499 or at Rs 7,499 less than its MRP. iPhone XR 128 GB models are available at Rs 74,999 – Rs 6,901 less than its stated MRP of Rs 81,900. Unlike its earlier approach, of late Apple has been responsive to the dynamics of the local market and came up with similar offers. Apple India is running similar schemes in association with channel partners and finance companies, too. In February, for example, in the wake of the Valentine’s Day, Apple had offered a Rs 5,300 discount on its iPhone XR models through select Apple authorised retail stores. Further, a 10 per cent cashback was offered in association with Citi Bank and Axis Bank that effectively brought down the price of iPhone XR, 64 GB model below Rs 70,000 from its MRP of Rs 76,900. The discount offers from Apple comes at a time when its shipment is dwindling in India and in the global market. In 2018, shipment of iPhones dropped by 47-50 per cent to less than 1.7 million from 3.2 million in 2017. Its market share dropped to 1.2 per cent in 2018 -- from over 2 per cent a year ago. Globally, iPhone shipment dropped to 208.8 million units in 2018 from 215.8 million units in 2017, said IDC.